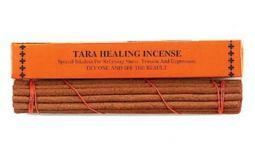 Sorry, we are currently sold out of 'Tibetan Nag Champa Incense'. Please click the Wait List link below and you will be notified when it is back in stock. These Tibetan Nag Champa Incense sticks are just under 5 Inches Long and they burn for approximately 50 to 60 minutes each. There are 30 Nag Champa sticks per package, meaning one pack of incense will burn for up to 30 hours - plus each pack contains a small incense burner as well! Nag Champa is the aroma of Lakshmi, the Goddess of Wealth, and it is one of the most popular scents in the world (several manufacturers produce different versions of the Nag Champa fragrance). 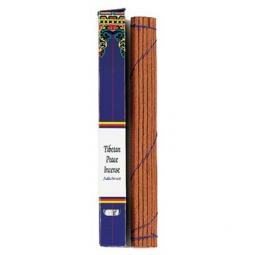 Many people claim that that this Tibetan Nag Champa scent helps them to relax and feel energized.